Is YeastInfection.org Safe? - YeastInfection.Org by Eric Bakker N.D. It seems like there’s a little bit of concern lately about yeastinfection.org. A lot of people want to know if yeastinfection.org is safe. The short answer to that question is YES – absolutely, without a doubt. From a technical standpoint, you’ll find that yeastinfection.org, as a website, has been around for more than 5 years. The site itself was established back in 2007, and I’ve been working hard ever since then to share as much accurate and authentic research about yeast infections and Candida ever since. I’ve got a sound technical team and they’re always working to ensure my site is up to date, free of viruses and malware, and easy for you to use. From a medical standpoint, the question of safety is even more critical. A lot of the yeast infection information sites out there today are run by people who have suffered from Candida and want to promote some products based on their own limited research. 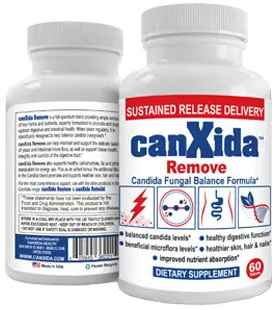 Others are run by people who have no idea what Candida is but for some reason want to cash in on some of the products that are out there. This site is completely different. What you’ll find on these pages is factual information that I’ve gathered during my research and studies as a naturopathic physician. I’ve got a medical background. I have more than 25 years of experience treating individuals with Candida and related conditions, and I’ve done additional research on my own. I have also been featured on NationalGeographic, CureZone, Disabled-World.com, SteadyHealth.Com, About.com and various other newspapers and magazines here in NZ and Australia. I offer as much information here on this site, as well as in my Candida Crusher book, in good faith. While the information I provide is scientifically sound, I’m – unfortunately – not your doctor. Please use all of the information here to guide you along the right path as you search for treatment, but please don’t use it to replace the advice of a doctor or naturopath in your own geographic location. Yeastinfection.org is safe and serves as a safe point of reference; and I want you to be safe and healthy as well.